Brian Jonestown Massacre, the band made infamous by their various ups, and mainly downs, in the documentary Dig! are back with a new album Aufheben. The band have had a few line-ups over the years and unfortunately the music is often overlooked by many in favour of the on screen antics, that have been mostly sensationalised in the media. This is such a shame as their music is superb; Anton Newcombe, the constant in the psychedelic collective has consistently put out a great library of music over the last 20 years. The new LP is due out on May 1st and after the electronica tinged sound of the last release Who Killed Sgt. Pepper?, Aufheben brings the traditional Brian Jonestown Massacre sound back, mixed with eastern influences. The track I Wanna To Hold Your Other Hand has been made available for streaming and has a delightfully laid back, and heavily sedated Beatlesque sound that even makes a nod to the fab four in the title. Armed with a voice serrated enough to saw through your plump and bleeding heart like a rusty old breadknife. Written by Mickey Newbury, this song is most famous for Kenny Rogers’s version you may remember from featuring in the drug sequence in the Big Lebowski. Complete with perhaps the most adeptly emotionally loaded whistling solo you’re ever likely to hear and a seamless transition midway through into the unreal “Wish I was”, this track blows Kenny Rogers’s version out of the water. A whiskey-soaked-flaming-pine-rocking-chair of a song. I’m a big fan of charity, especially when it’s for a really good cause. 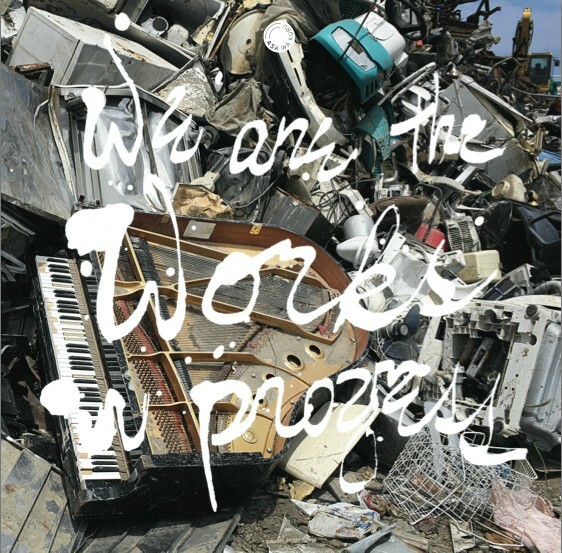 Four Tet has posted the track Moma which is his contribution to the We Are The Works In Progess compilation to raise money for Japan and it’s recovery post-tsunami. As with most of Kieran’s music under his Four Tet monicker it’s a colourful and bright track with plenty of charm that builds beautifully. The compilation drops on the 10th January 2012 and all proceeds benefit JAPAN SOCIETY EARTHQUAKE RELIEF FUND & ARCHITECTURE FOR HUMANITY. It’s a more than worthy cause and just look at that list of contributors! You could do a lot worse than having this compilation in your collection.